I came across this dish in one of the Karnataka restaurants. As my dad was a huge fan of this, my mother learnt how to make it at home and i borrowed it from her. And today i am going to share it with u'll. This is made with Minced Mutton which is also called Keema. You can try it with other minced meat as well. 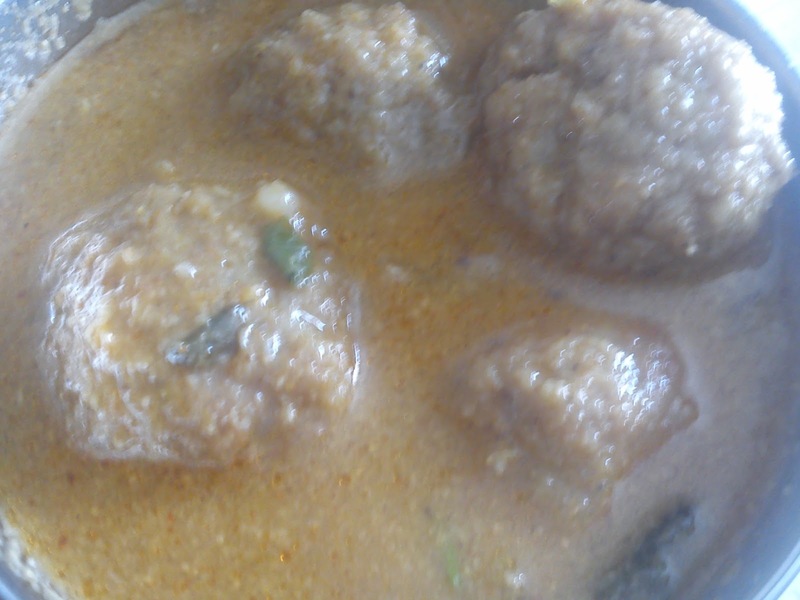 Can use minced chicken instead minced mutton. Add red chilly powder and salt to paste 2 and make the balls out of it. Deep fry it until it changes it's color to brown and becomes crispy. Add chopped onions, left out of paste 1, coconut and tomato and fry well. Add some water to it and allow it to boil on low flame for 5 minutes. On boiling add fried balls and allow it to boil for another 2 minutes. Serve hot with plain rice or ghee rice.